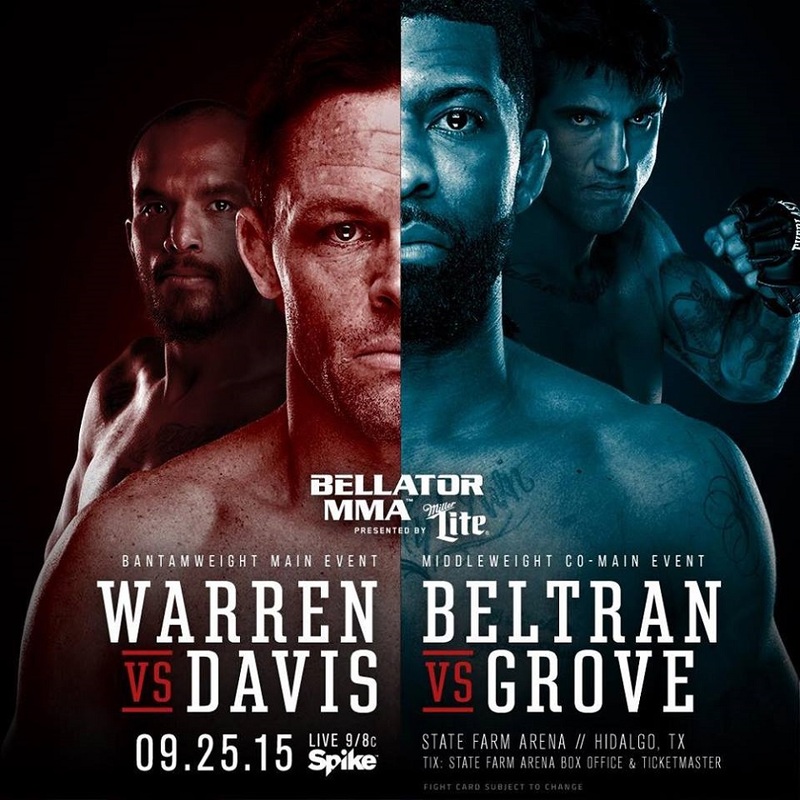 Watch the Bellator 143: Warren vs Davis weigh-ins beginning at 8 p.m. EST / 5 p.m. PST. The fights are live tomorrow night at the State Farm Arena in Hidalgo, Texas. 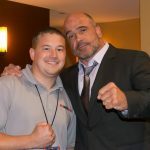 Preliminary bouts will be streamed LIVE on MyMMANews.com beginning at 7 p.m. and the main card will air on Spike TV at 9. Friday night’s main event was originally scheduled to be the title rematch and trilogy fight between the self-proclaimed baddest man on the planet, Joe Warren and current champion Marcos Galvao. 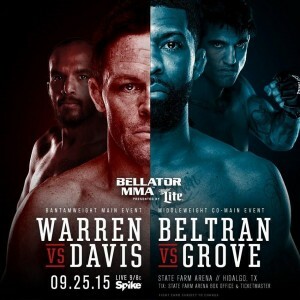 Galvao defeated Warren and took his Bellator bantamweight strap back in March. Galvao had to pull out of the trilogy bout due to injury and in stepped L.C. Davis.